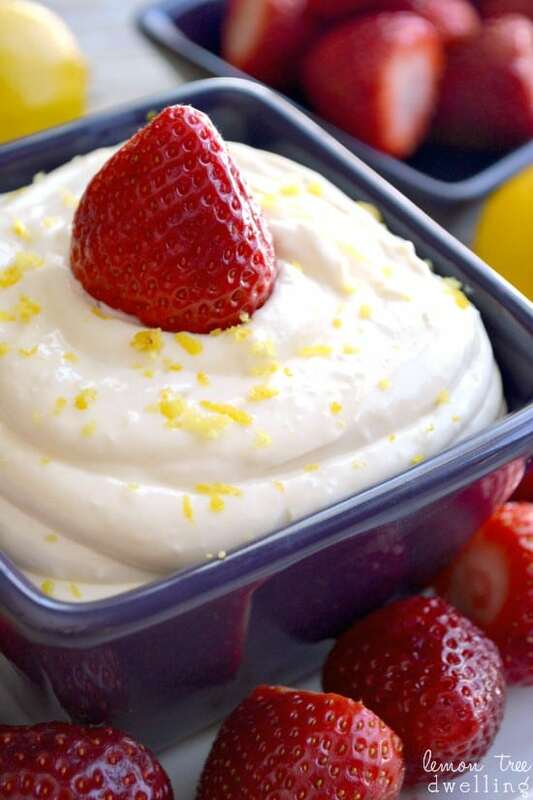 Sweet, tangy lemon dip – made with just 5 delicious ingredients – and ready in a snap! So…..are you ready for spring? I know – silly question, right? It’s just that, when you live in a place like Wisconsin, and you’ve had a winter as brutal as this one, and it gets to be this time of year, it’s hard to think about much else! We’ve been stuck in winter coats for 5 months, haven’t seen grass in 2-3, and can’t even really remember what it feels like to have bare skin. We are desperate! Don’t get me wrong. I am not complaining. I know it’s my choice to live here and I know people deal with much worse…. . But. I can’t remember the last time I saw my neighbors! You know….the people who live right next door to me?? It’s odd! People become hermits in this type of weather, myself included. I can’t tell you how awful it sounds to me to leave my house in the cold….even if it’s been several days since I last saw the outside world. I’d almost always rather just stay home! Needless to say, my friendships kind of take a hit in the winter months. Unless, that is, the friends are willing to come to me! I am always up for visitors…regardless of the weather…and I am always more than happy to feed my visitors! In fact, I want to! (Seriously…do I sound desperate or what!?) Every now and then, especially as the weather starts to warm up, someone will take me up on my standing offer to come visit. And when they do, it’s nice to have an arsenal of quick and easy recipes I can whip up last minute! I am all about quick and easy….truth be told, I get overwhelmed by recipes that aren’t quick and easy! Especially when it comes to people visiting. There’s always too much else to think about in that short time before they arrive – like when is the last time I showered? and how quickly can I clean up this disaster of a house? Of course I want to serve them something delicious, but it can’t overwhelm me or I’ll REALLY never see people! 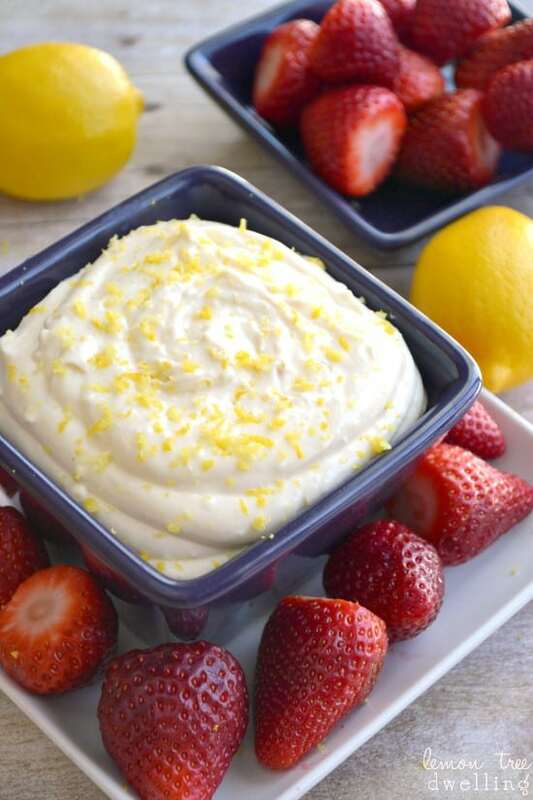 This Creamy Lemon Dip is the perfect last minute recipes…so easy you’ll be glad to be social, and so delicious your friends will be glad to make the trip. 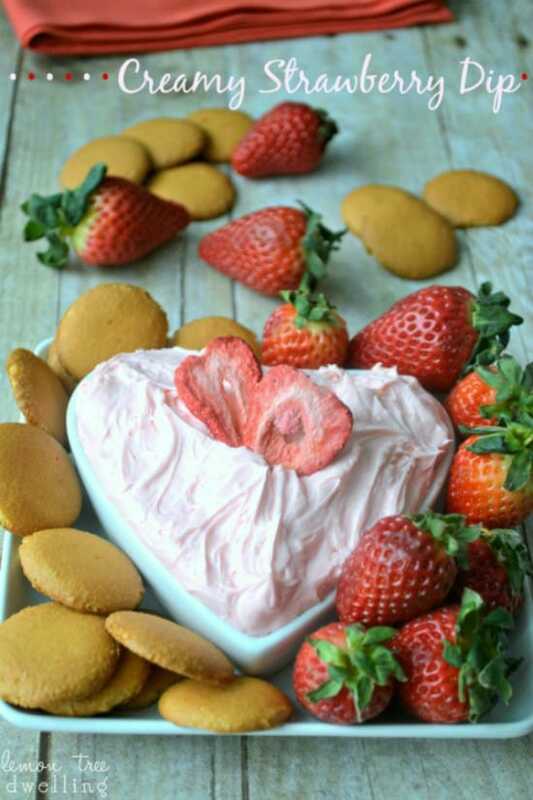 Combine all ingredients in a medium mixing bowl and mix until smooth and creamy. 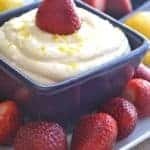 Looking for other quick and easy dip ideas? 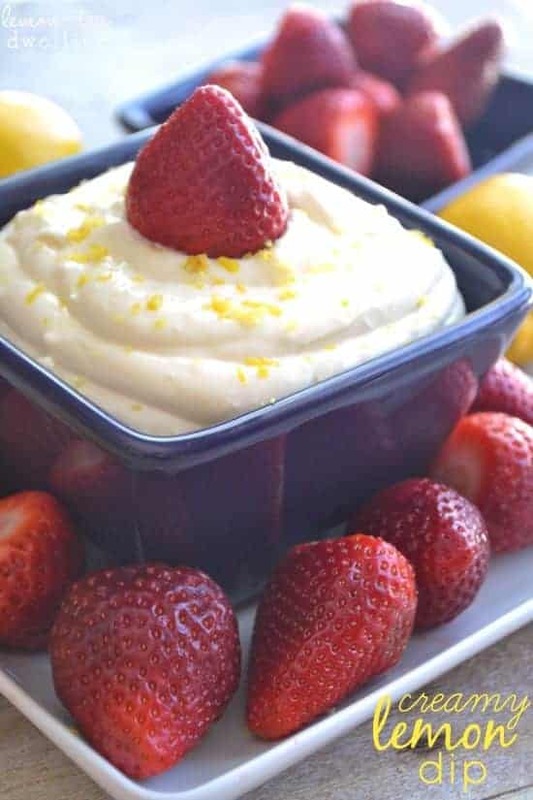 I love lemon and dip!! This sounds awesome!! Looks delicious Cathy! 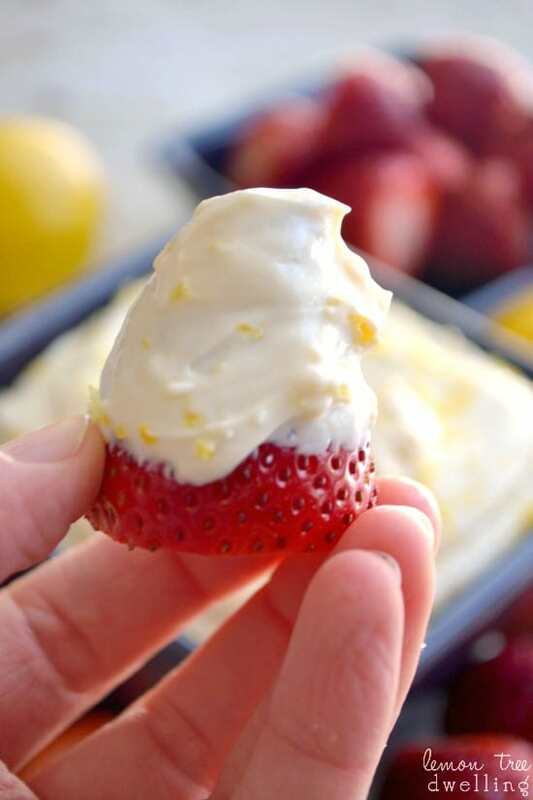 I love that lemon zest! 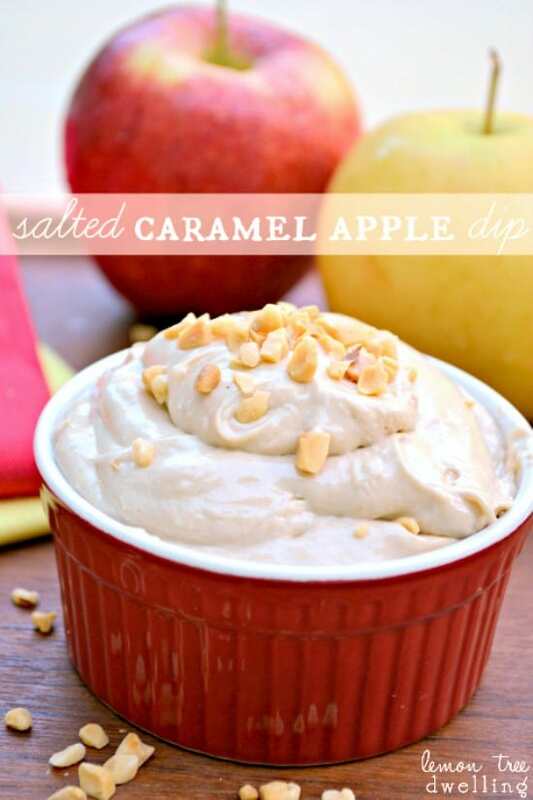 I can’t even get OVER this dip!!! It is so beautiful!! Seriously have to try it! Oh my gosh, girlfriend. Lemon anything, I love! Dips, I love. This, I’m sure I’ll love. The second I saw this post, I knew it was going to be perfect for Easter. Now the question is appetizer or dessert? or both! Seriously, I would never leave my house! LOL – Not until there was no sign of snow, at least! 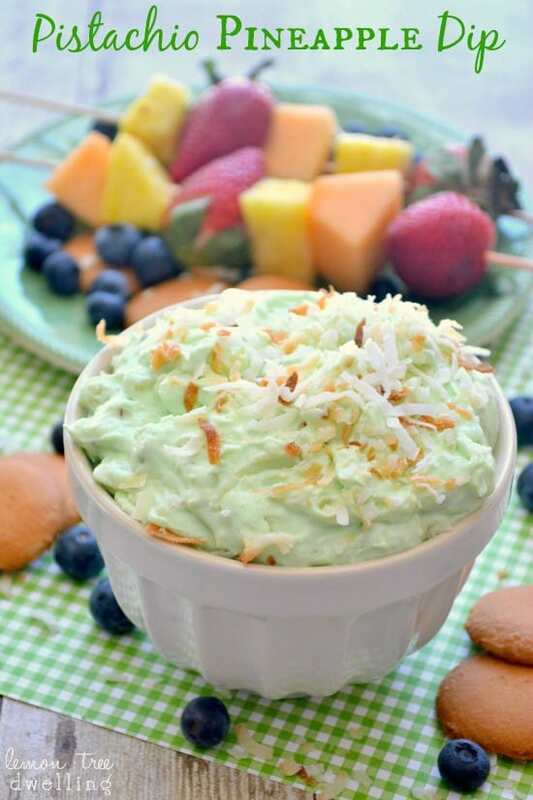 Love this dip, Cathy! Pinned and I have it scheduled to share on FB! Have a great weekend! 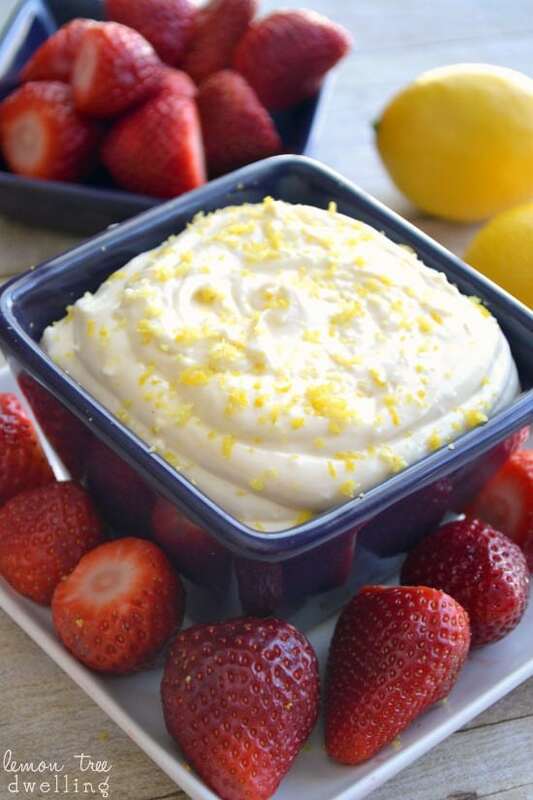 Love this dip Cathy – I’m using it for a lemon round-up! !